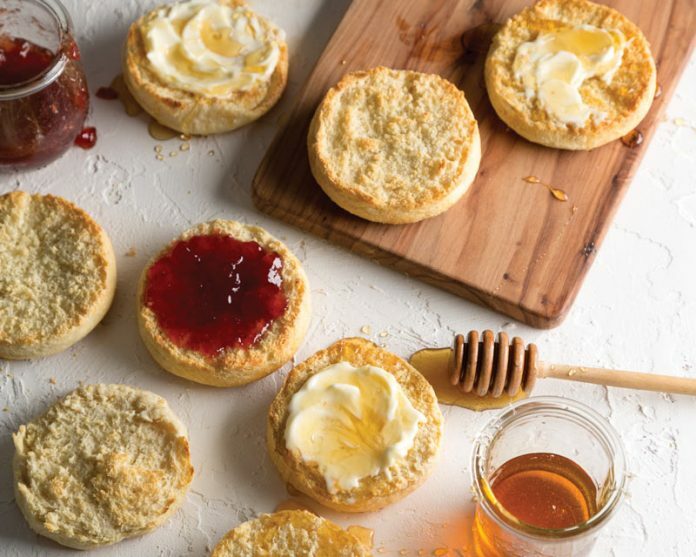 The leading lady in your life deserves a bit of morning pampering—specifically in the form of floral, honeyed scones, warm, fluffy biscuits, and espresso swirled jumbo muffins. 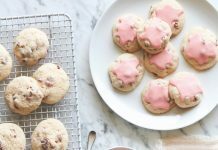 This collection of breakfast recipes offers the first step in making your mom’s day the best day. 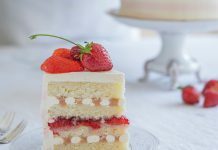 Because your loving appreciation is best shown with a slice of coffee cake. 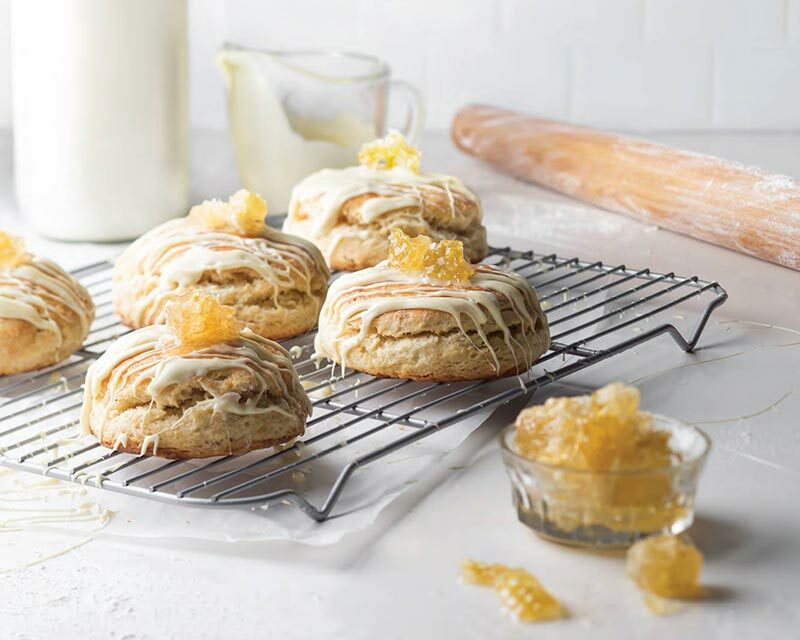 Inspired by the busy bees of spring, we paired chopped honeycomb and orange blossom water to create a delicate floral and honey scone. 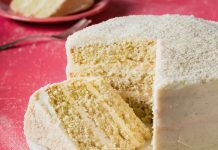 Crowned with golden honeycomb chunks and a generous drizzle of white chocolate, these baked goods offer a surprising flavor combination you didn’t know you needed until now. Find more spring scone recipes in our 2018 March/April Issue, here! We took the formula for a roll-out buttermilk biscuit one step further and threw in a flaky twist. A quick brush with buttermilk and a tri-fold of the dough creates light layers in this golden biscuit, making it perfect to split open and butter. 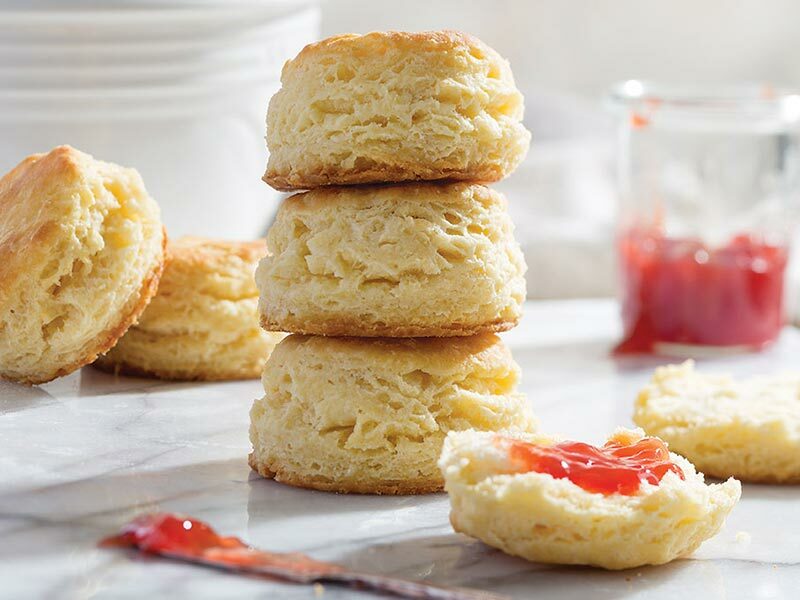 Find helpful techniques and more biscuit recipes in our 2018 May/June Southern Issue, here. 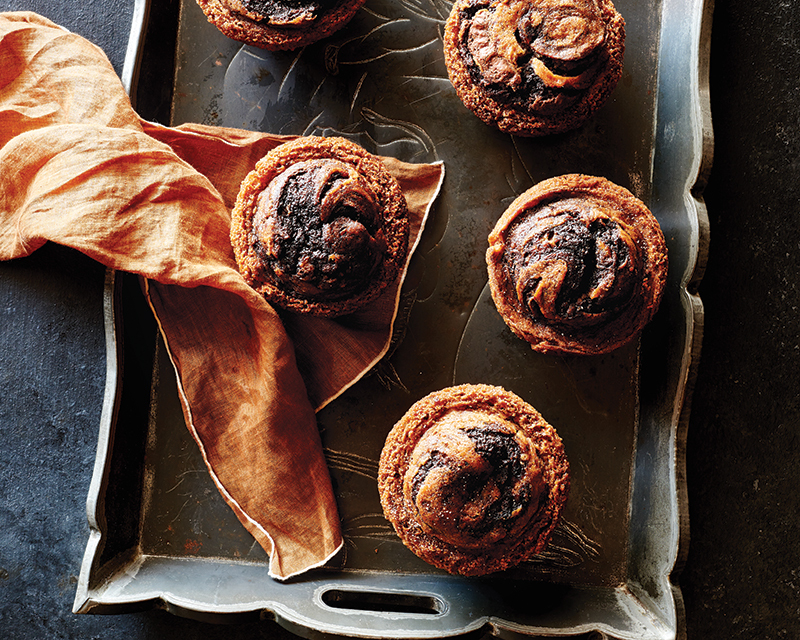 We’re not sure if these muffins are breakfast or dessert, but we promise not to judge if you eat one (okay, three) of them hot out of the oven. (They’re THAT good). Welcome the year’s first haul of strawberries with these tender basil-scented scones. Sprinkle with sanding sugar for a breakfast that sparkles. 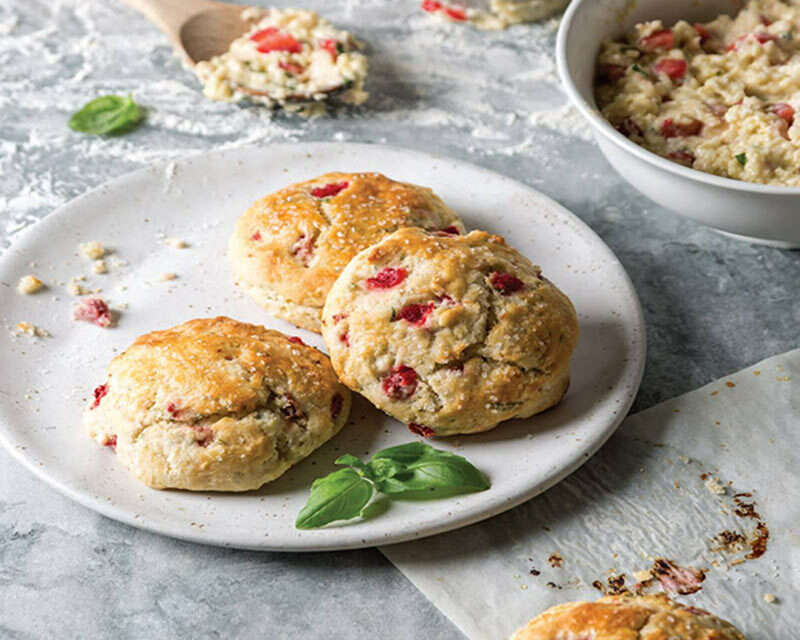 Find more spring scone recipes in our 2018 March/April Issue, here!